A lot of people have been asking what the little floating yellow thing is. It's ZARI. ZARI's a robot helper of sorts. ZARI stands for Zero Area Response Interface. 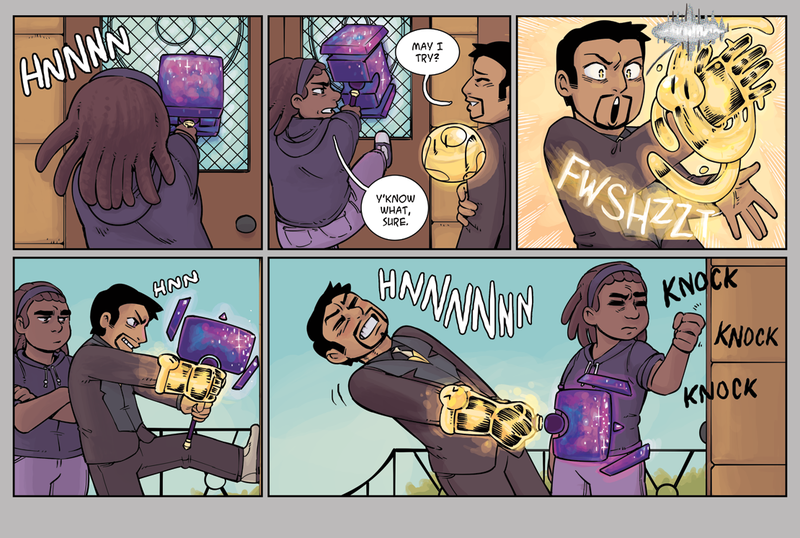 You'll find out more about it as the comic continues. 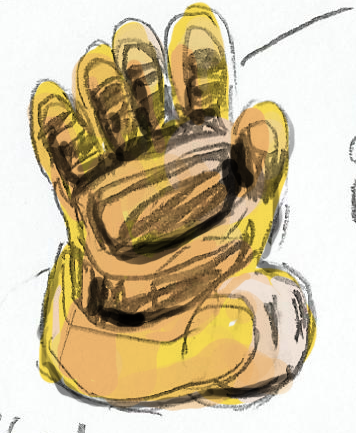 But here's a bit of concept art of it in glove form. Art credit to Tessa Kleiner.